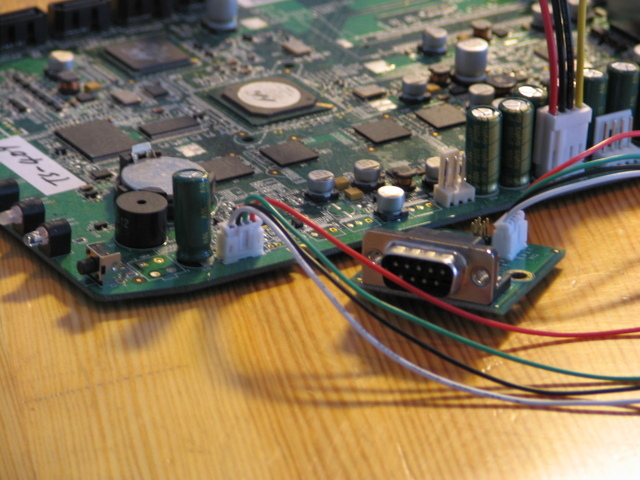 Note that you have to void your warranty in order to access the serial console on the TS-409U. Once you have connected your serial console, you can use a terminal emulation program to connect to U-Boot, the boot loader used by this device. You have to connect with 115200 baud and set the parameters to 8N1 (8 data bits, no parity, 1 stop bit). U-Boot on a separate page about U-Boot. If your serial console doesn't work or you can see text but your typing is ignored, it might be because you have to connect RX from your connector cable to TX on the QNAP and TX with RX.